I heard a quote once that has stuck with me ever since. It goes something like this, "Want to love your home? then clean it." If you have boys in your home then I'm sure you know exactly what I'm talking about. That is why when I saw this cleaner made special for the boys' bathroom I knew I had to try it out. It's from Murchison-Hume and it is just what I have always needed. Not only does it clean germs, but it also smells light and fresh and it doubles as an air freshener. 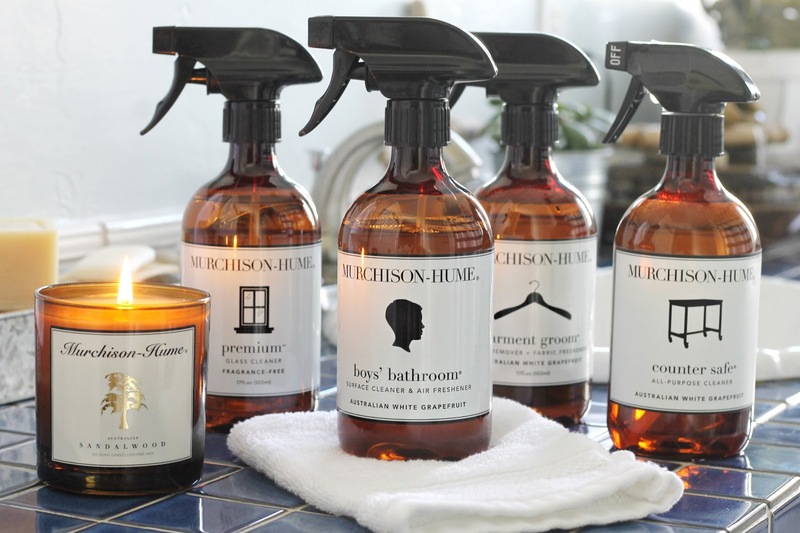 Murchison-Hume carries a whole line of Natural cleaning products to clean every room in your home. All of their cleaners are made with high quality, effective and non-toxic ingredients. These cleaners smell amazing; nothing at all like the overbearing lemon-bleach smell you get with most standard cleaners. And come on, How good looking are these bottles? 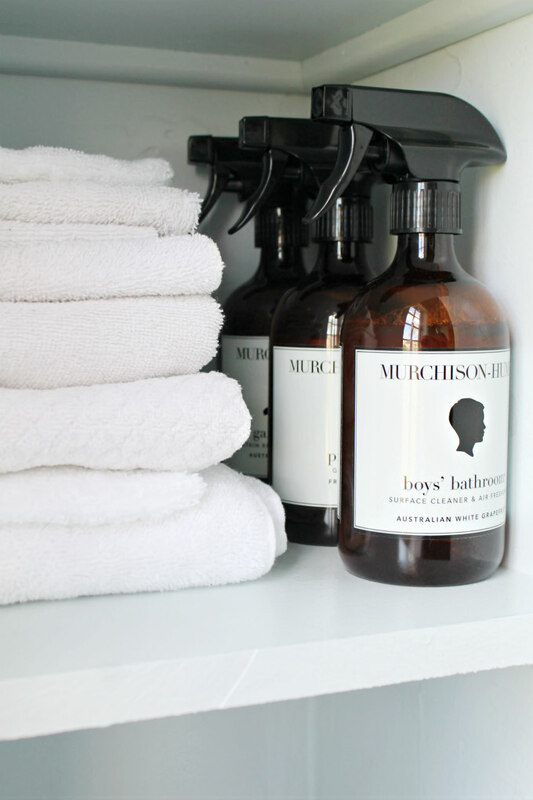 These pretty re-usable bottles along with the fresh clean scents somehow make cleaning a little more enjoyable. 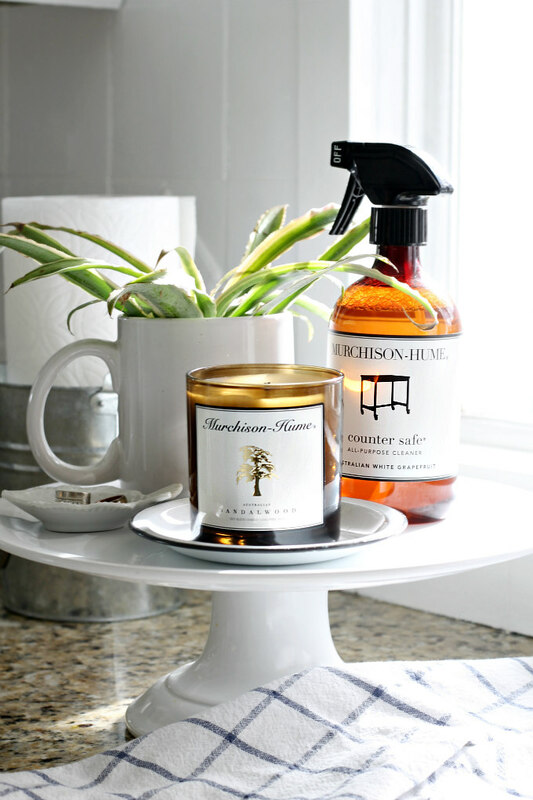 Along with the Boys' Bathroom, I also picked out the Premium glass cleaner, the Garment Groom, the Counter Safe, and an Australian Sandalwood candle. I used all of these products for cleaning the bathroom. The glass cleaner shined up the mirror spotlessly, while the garment groom removed a small stain from the shower curtain. 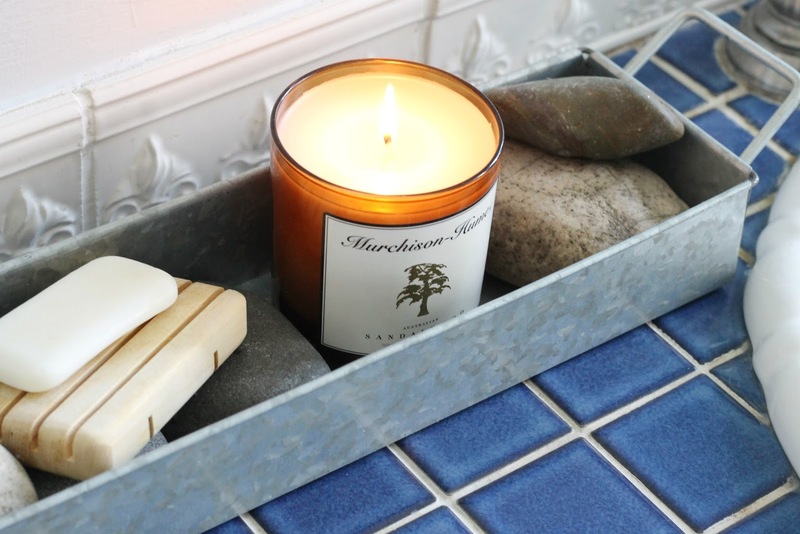 When the bathroom was all cleaned, I lit the candle to keep the room smelling fresh. With the bathroom now clean and smelling great, I was inspired to stick around and do a little re-decorating. I just moved a few things around here and there. 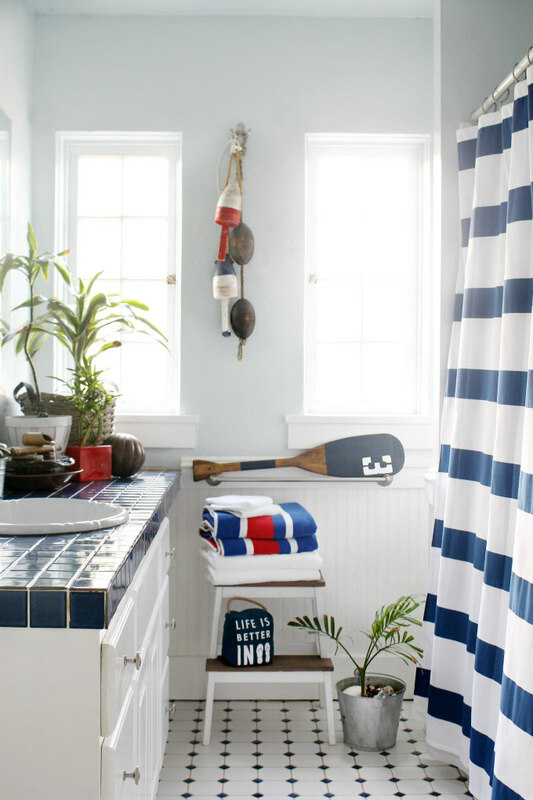 I like to style this room with coastal decor because I think it goes so well with all of the blue and white tile. 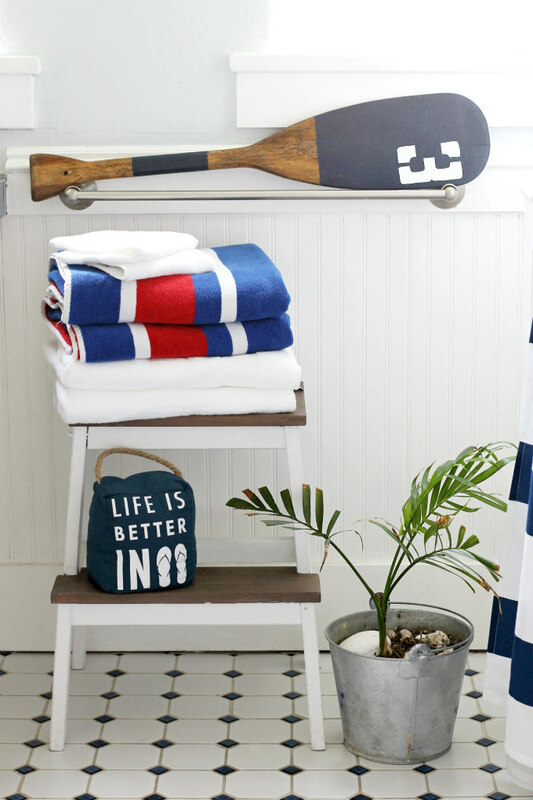 The oar is something I painted and the fun "life is better in flipflops" door stopper can be found HERE. 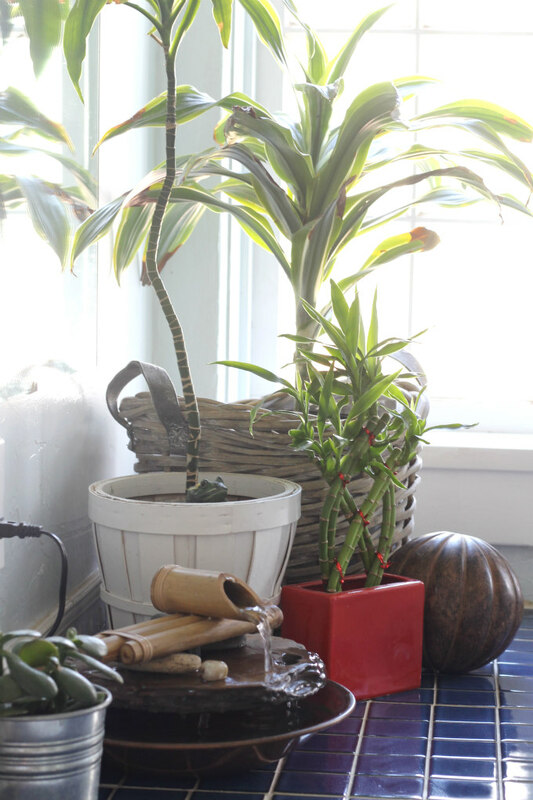 Plants seem to thrive really well in this room so I keep moving more in. I also brought in my water fountain. 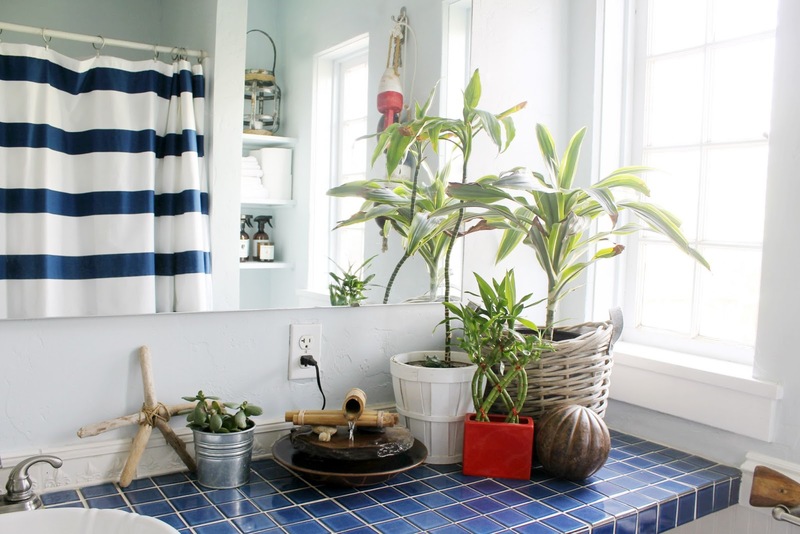 The sound of the running water is really relaxing and gives the room a soothing feel. So back to the cleaners, because I think these are too pretty to hide away, I have them sitting on the open shelf in the bathroom. I want you to try these cleaners out for yourself because I think you will love them as much as I do. 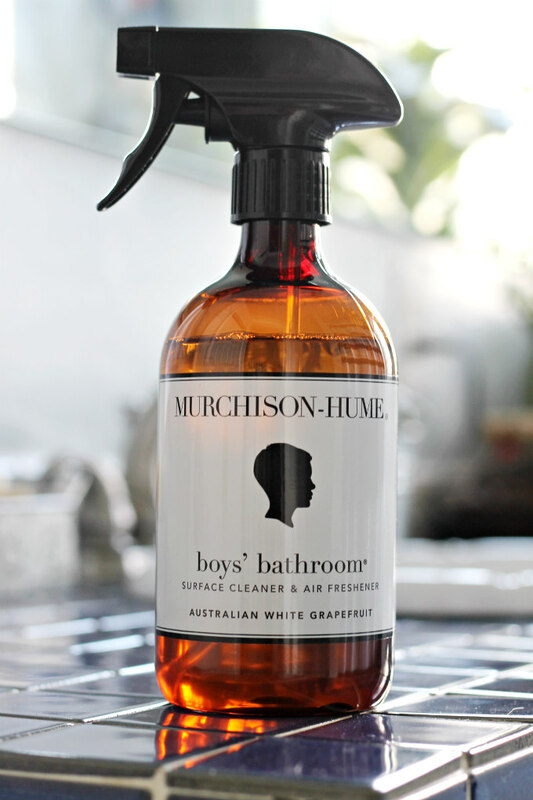 Murchison-Hume is offering my readers a %20 off coupon to use on your order. Would love to try these products but when I tried to check out, the code didn't work. What are the requirements to use the code? Thanks! Sorry about that. The code has been changed to all caps THEWICKERHOUSE20. Please let me know if you still have any problems using it. Thanks! This brand is a joke. How can you trust a product made by someone who lies on national TV?